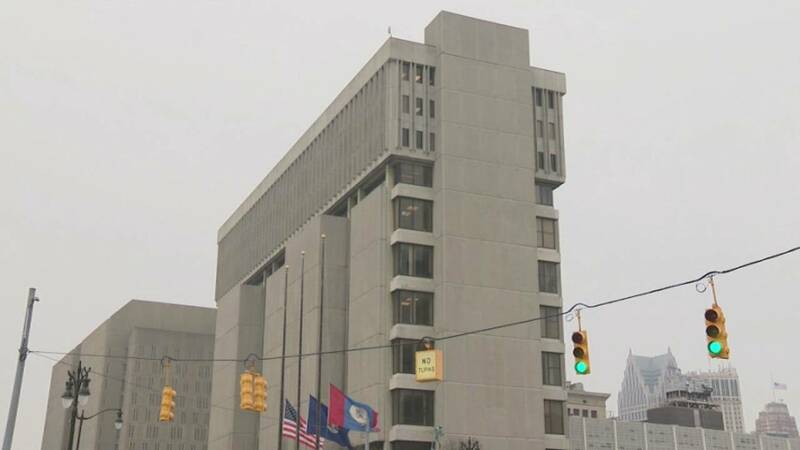 DETROIT - Two court buildings and a hospital in Detroit have received bomb threats Friday morning, officials confirmed. The Frank Murphy Hall of Justice was originally placed on lockdown before being evacuated, according to Detroit police. The courthouse is back open to the public. "The Frank Murphy Hall of Justice closed this morning at 9:37 a.m. due to a security threat," officials said in a statement. "The building has been reopened and normal business has resumed. Court Leadership will issue a more detailed statement after meeting with law enforcement. We apologize for any inconvenience." Officials said 36th District Court was evacuated but is now back open, too. Officials at Henry Ford Hospital also received a bomb threat, according to authorities. They treated it as a hoax and have deemed the scene clear, officials said. Police also checked Detroit Receiving Hospital as a precaution, officials said. Unlike the email threats that were reported across the country and Metro Detroit on Thursday, officials said Friday's threats were made over the phone. Police believe the same person is behind the email and bomb threats.